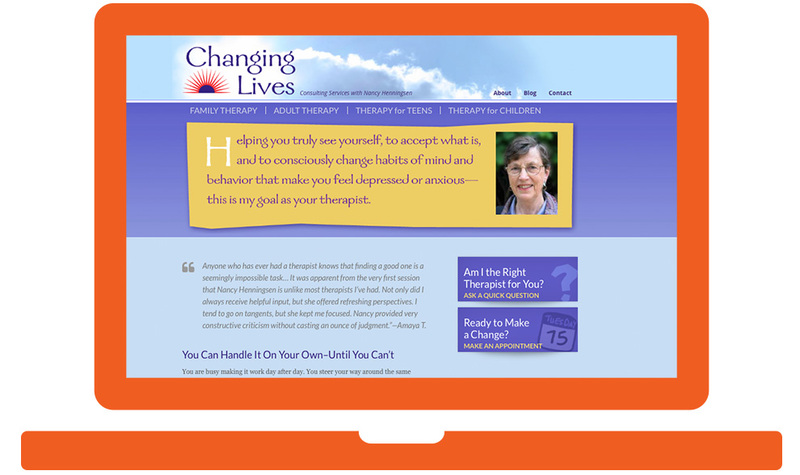 The client came to me with an assignment: “Update my website so that I can get new clients.” First, we had to prioritize areas of expertise because her existing website had no focus–not uncommon with therapist sites. In the discovery process it became clear that the client feels most effective when working with families and young people. So we branded her as a family therapist. Family Therapy is a highly competitive therapeutic specialty in Silver Spring, Maryland. More than a year after the launch, all of the core content webpages still turn up on page one search results. Mission accomplished. Website by TGS Creative.